Pom poms on shorts? Inspired! These floral monochrome shorts from Missguided will be perfect for summer (if we see one this year...this week I've had to dig out the scarves and jumpers again, and it's nearly bloomin' June). I like that these shorts take a different spin on the whole floral trend which can get a bit samey year on year, and what's more, they're an absolute bargain at £14.99. 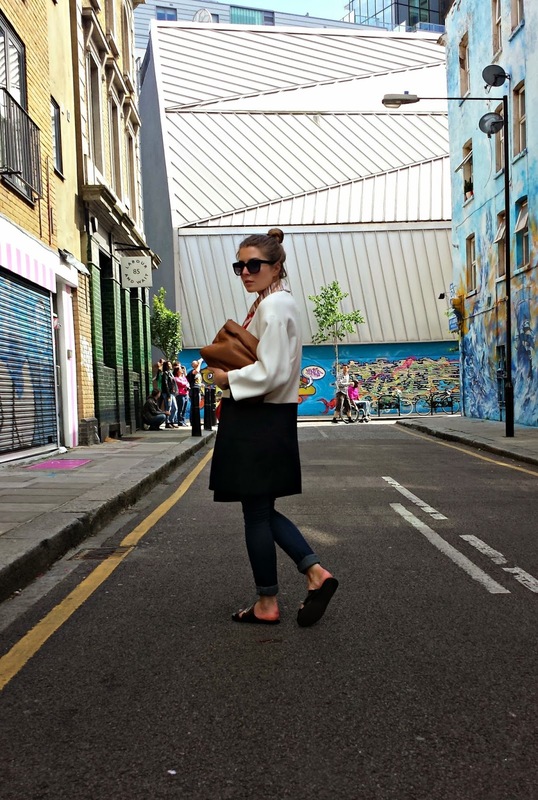 A casual look for a stroll around Shoreditch last Sunday. 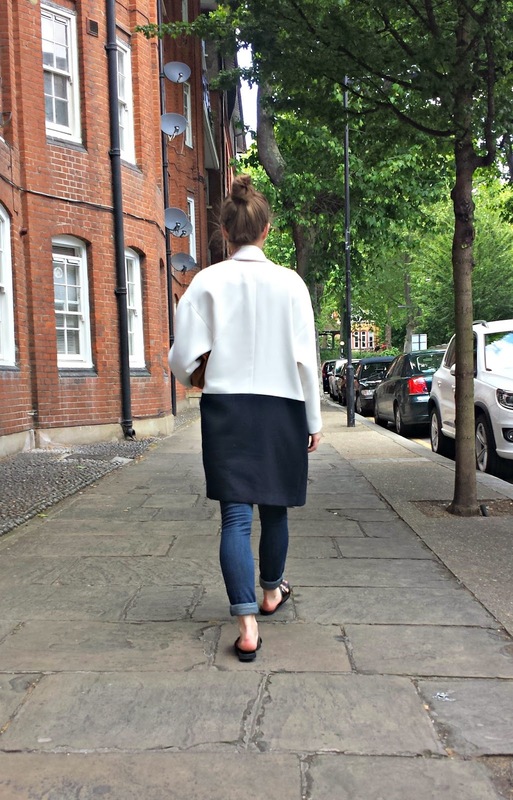 I love this time of year when the sun's out and you can just throw on a light cover up like this Zara coat, and spend the day wandering around one of London's many markets or dipping in and out of cafes. I'm popping my Glastonbury cherry this year and am starting to think about what I'm going to wear at the festival (yes I realise it's a month away...but I am only in the thinking stage, not the actual planning stage). I kind of got over the whole 'festival trend' about three years ago; I know loads of people love it and do look great in it but it's not really my personal style so it seems stupid to adopt it just for a few days a year. So what does one wear to a festival (and the most historically muddy one at that) without looking like they're 'going to a festival'? That's my mission for the next month - to pick the perfect Glastonbury wardrobe. I'm hoping the weather is going to be uninterrupted warmth and sunshine but being a realist, I need to cater for all types of weather. 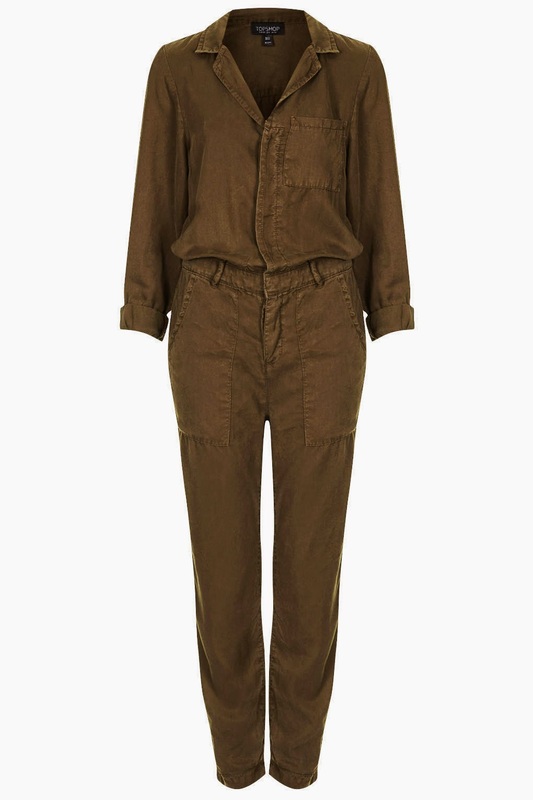 This boilersuit from Topshop caught my eye - it looks like it will hold up well in a festival and is also something that I would actually wear in 'real life' too. I'm thinking paired with sliders for Glasto, and dressed up with a pair of heels back in the city. Yup, this boilersuit is a strong contender. I hope you all enjoyed the gorgeous weather we had at the weekend - if our British summer is anything like that I won't mind having a staycation at all! 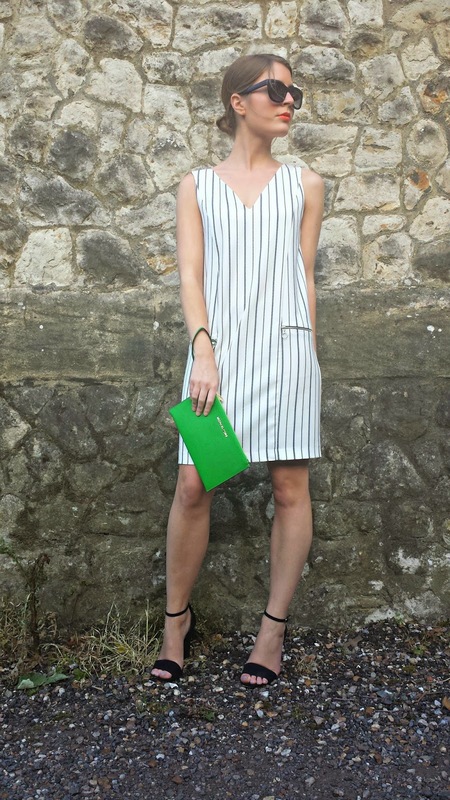 I picked up this dress from Zara last week - at £17.99 I just couldn't say no; slightly oversized with this season's pinstripes, I think this will be a summer staple. Another exciting addition to my groaning wardrobe is this Michael Kors clutch from Harvey Nics - how cute is it?! Definitely one to perk up my outfits. Ahh, Vegas. 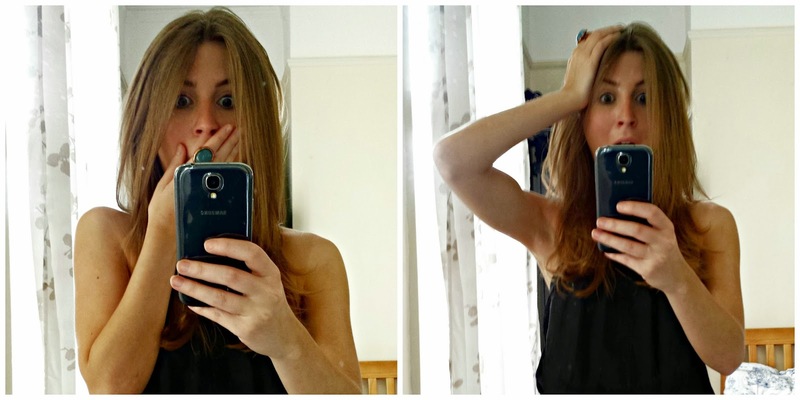 I went a couple of years ago (and blogged about it here) and absolutely loved it. So tacky and so over the top, it's a whole other world and something that needs to be experienced at least once in your life - that's why I'm sharing this competition with you today. Quiz Clothing is offering one lucky winner a trip for two to sin city, with return flights, five nights at a hotel, five free dresses and tickets to see Britney Spears. BRITNEY. All you have to do is upload a selfie (on either Instagram, Facebook or Twitter) as if you'd just won the jackpot in Vegas. Make sure you tag your photo with #Ijustwonthejackpot and follow Quiz on whichever social media channel you upload to. For full details, terms and conditions, click here. 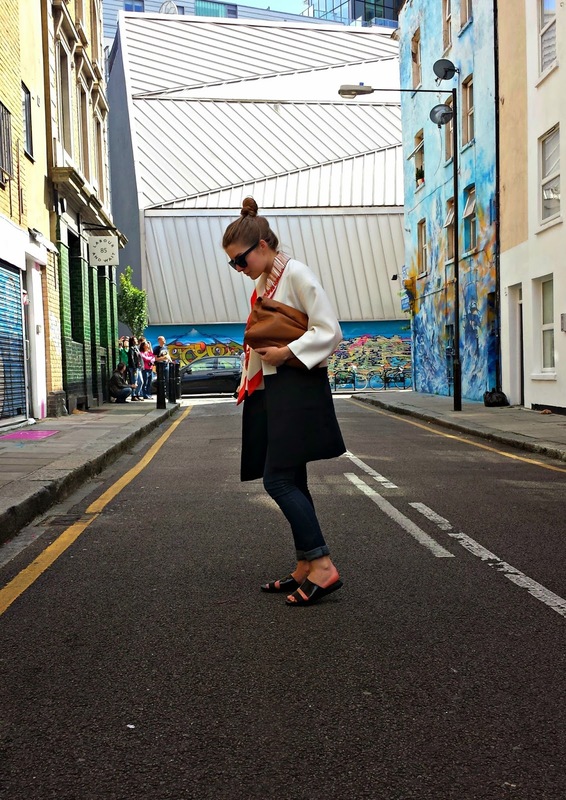 I've been eyeing up culottes for a while now, but with standing at a petite 5'4 I wasn't sure I could pull them off. I think worn with heels is the best way for me to go for now...although I may experiment with flats once I've gotten used to that 'awkward length'. Also loving that London is basking in sunlight at the moment; I wore this outfit out the other night, no jacket required. Summer is coming! 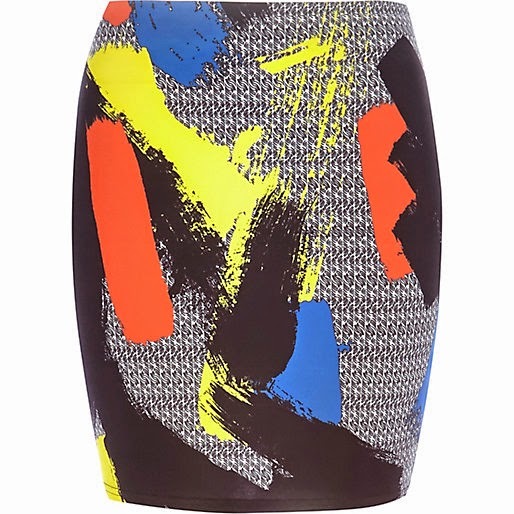 I'm loving art prints at the moment and this skirt from River Island is no exception - at a bargainous £16 no less! 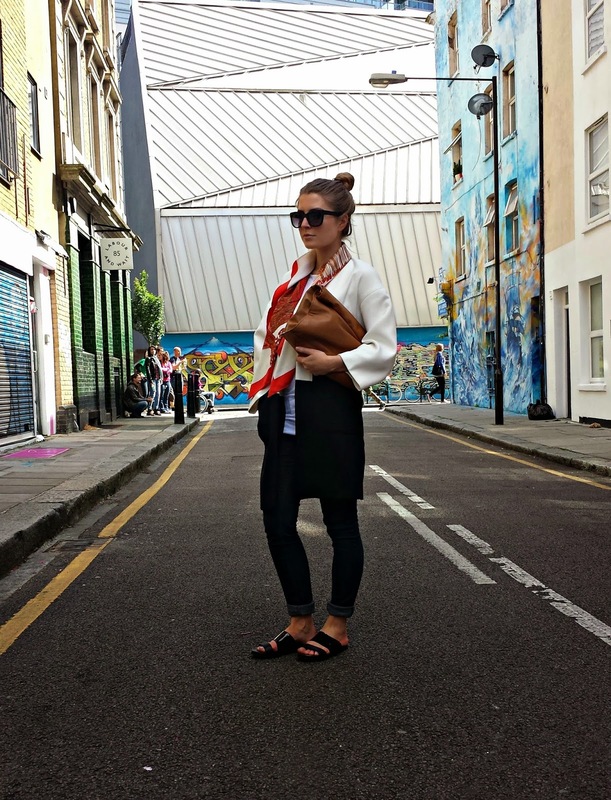 This would be perfect paired with a loose white blouse and sandals for summer. 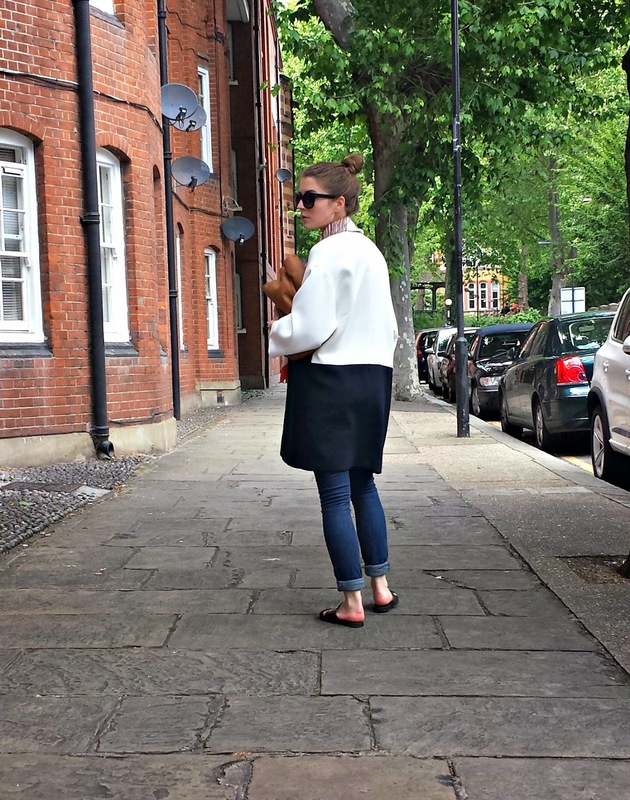 It feels like a long time since my last outfit post...normally I'm pretty good at staying on top of the ol' blog but I've had a really busy couple of weeks and before I knew it, time had pretty much ran away from me. 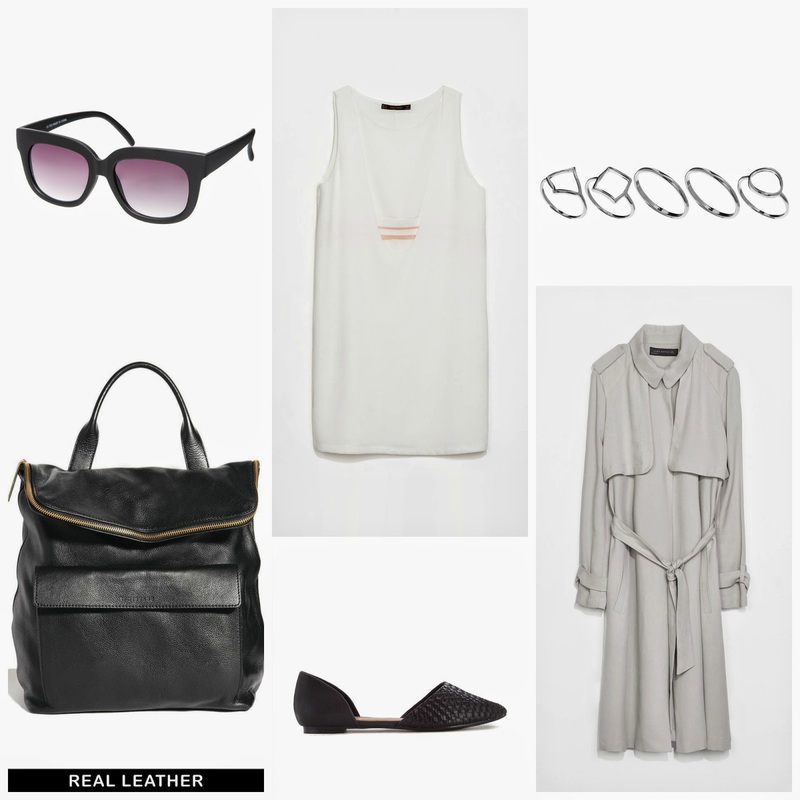 I'm taking inspo from Alexander Wang SS14 in today's outfit - I love that by just opening your shirt in a new way it can create a whole new look. I seem to be drawn to a lot of sheer mesh pieces at the moment (done modestly, of course!). I love this metallic dress from Warehouse; it's a simple yet statement piece and the narrow pleats add a bit of a twist to the otherwise minimal shape. This is my third and final look for my mini series of ways to wear a t-shirt dress (click for looks one and two). 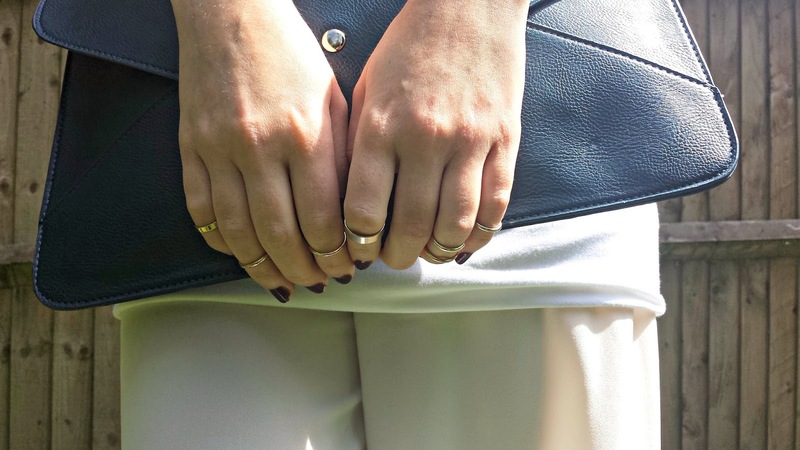 This is a really simple look that would be perfect for summer evenings and is a way to pull off that tricky dress-over-trousers trend. 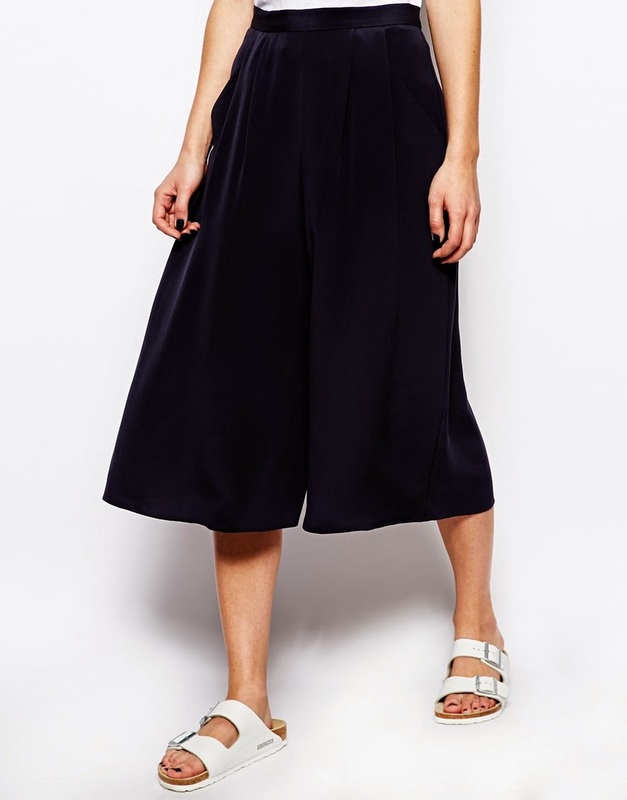 Culottes are pretty much dominating the high street at the moment, but these silk ones from Whistles stand out to me for that little bit of extra luxe factor. 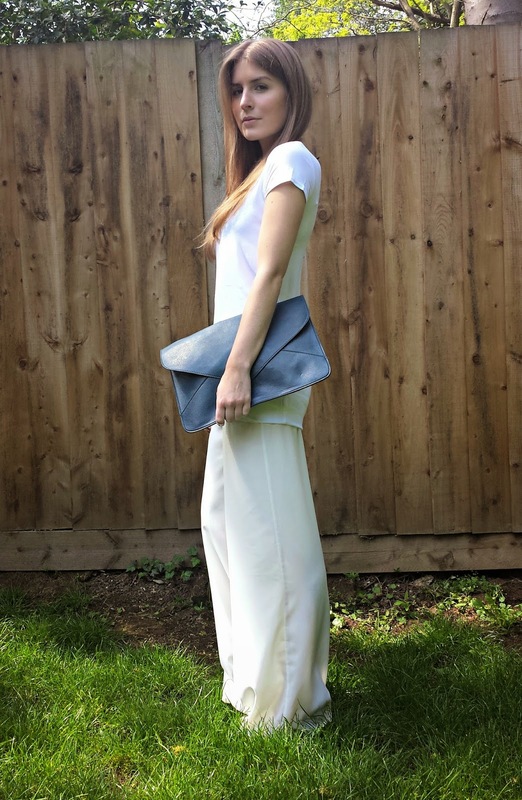 Easy to dress up or down, these culottes would make a great summer wardrobe staple.